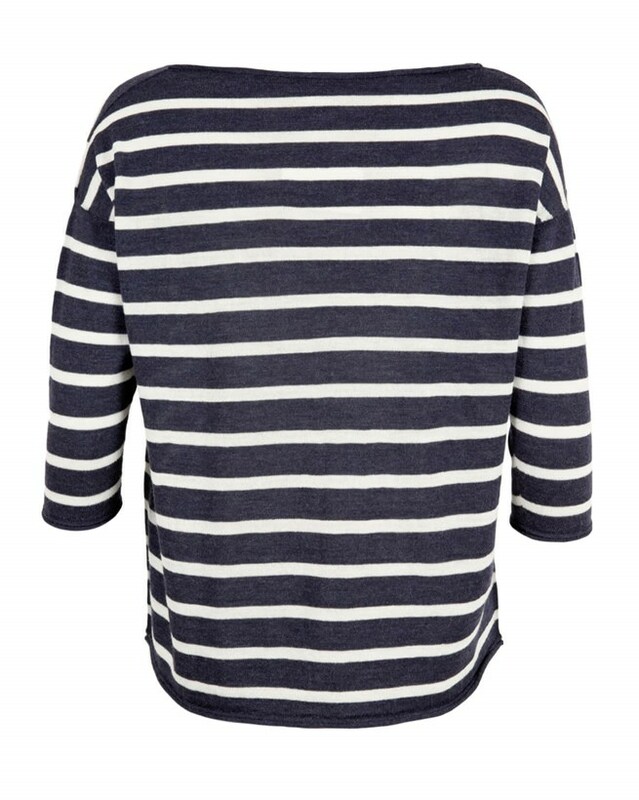 Freshen up your style with this 100% merino lambswool wardrobe essential, in an easy-to-wear nautical stripe. 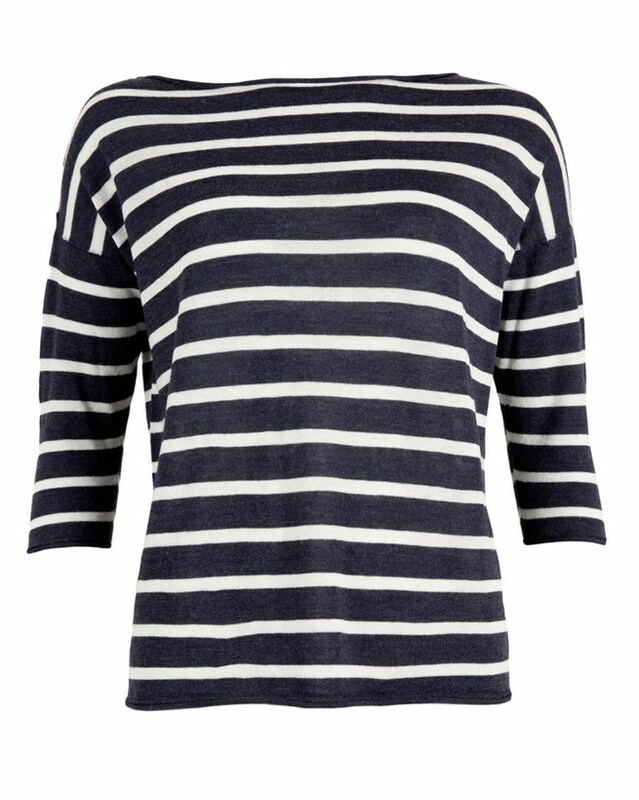 Featuring a boat neck and ¾ length sleeves, this is the best of throw-on knitwear. 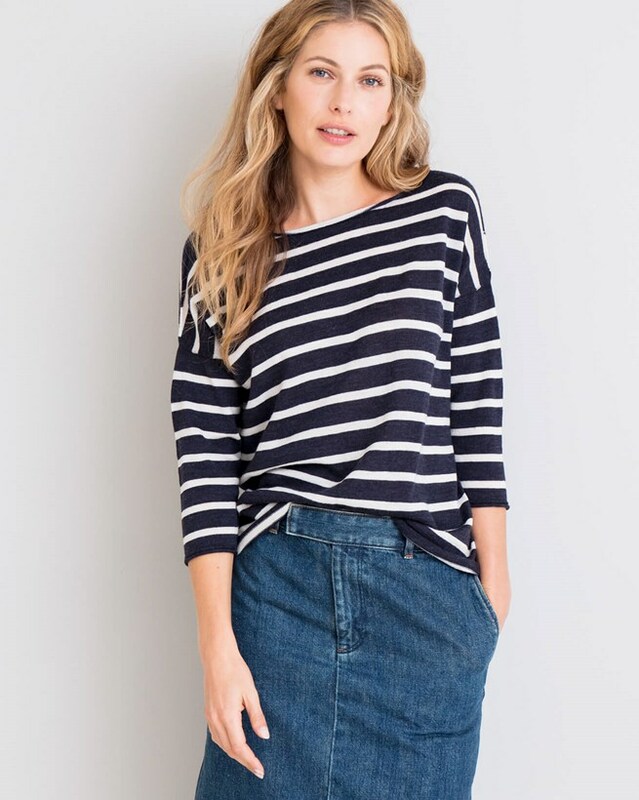 Style with a denim skirt and sandals in warmer weather, or switch those up for your favourite jeans and ankle boots as the evening rolls in, layered under a sheepskin jacket. 100% Merino Lambswool - Merino wool has superfine, silky fibres which help regulate your temperature. The fibre’s natural elasticity means they stretch for a great fit and then return to their natural shape.